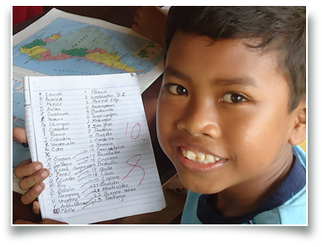 The WINS foundation helps underprivileged children in Indonesia by giving them the chance to go to school through the WINS child sponsoring program. 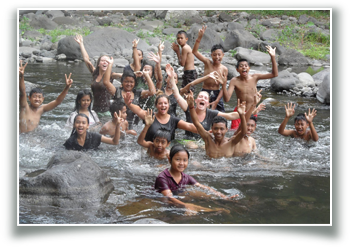 Additionally we offer them extra lessons at our Learning Centers spread over Bali, which are provided by volunteers from all over the world. So that they will believe in themselves and their ability to make a difference in their lives and in the lives of people around them. We welcome volunteers who have the desire to make a difference and who want to do voluntary work in Indonesia. Have a look at the video clip to see what some of the children have achieved. Please visit the WINS Foundation website to discover more about the WINS vision. VIP-International handles volunteer matters for the WINS Foundation. We see volunteers as Very Important in the WINS Education Program for the children. There would be no such thing as WINS, without extraordinary people who do voluntary work. We believe that volunteers have something special to contribute. You can help by doing all kinds of activities and sharing your personal talents and gifts with the children of the WINS Learning Centers. If you have the passion, drive, enthusiasm and an open mind, and are eager to help the children in Indonesia build their own future, we would be delighted to have you on our team!